I am currently raising money to translate St. Robert Bellarmine’s works into English (works which have never been in English). This is a daunting task and requires my full time energy. It also means acquiring the funds to pay for bills and food while doing this. So this is why I have decided to raise the money to maintain myself translating. The formal site is here. 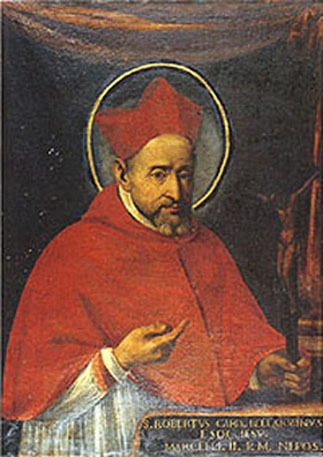 Bellarmine is one of the most important theologians since the Council of Trent, and in the manuals on nearly any discipline Bellarmine is the most frequently cited (except in morals where St. Alphonsus is more commonly cited). Bellarmine lays down principles in theology, solves problems, and heavily quoted the objections of the contemporary Protestants. He was hugely fundamental to the work of Vatican I, and an opponent of absolutist monarchy. It is one of the tragedy’s of the loss of Latin in our educated culture that Bellarmine is not accessible to most, even to bright individuals. The goal of the project is to change that. -De Verbo Incarnato (On the Incarnate Word); De Christo; De Romano Pontifice (an important work if there ever was one); de Ecclesia: de Conciliis (on the Church, which divides into several works, the first on Councils and their authority); on the members of the Church, the Church Militant, Suffering (Purgatorio) and Triumphant; on the Notes (Marks) of the Church; and de Sacramentis (On the Sacraments, in Genere and then on the 7 in particular). Add to this his sermons, many of which have not been translated, and his work on a Christian prince, wherein he lays out his philosophy of Government (often misunderstood as being whiggish, though it contrasts sharply from the views of the day). All of these works will be published through my publisher Mediatrix Press, and will be very affordable. For a 250-350 page volume, the price is projected to be $25 or so. In general, I translate at a rate of 3-4 pages an hour, so being conservative lets take 3, 8 hours a day and 6 days a week is 168 pages a week, and the average range of Bellarmine’s individual works is 200 pages or so, therefore every 2 weeks it is possible, if I was working full time on it and not laboring away elsewhere and squeezing this in on the side, to have a work done, edited, and begin type-setting, or about one book a month on average, just to be on the safe side. That means, in theory, approximately 12 works of Bellarmine could be in print, in English, by this time next year. That is huge. Even if we allow for real life issues, call it 10 works. What is the value of having de Romano Pontifice, or his work on the Sacraments and the marks of the Church in English, plus many more things? This project is worth it. I noticed also that someone was able to raise over $50,000 to make potato salad, and promised to anyone giving a 2 dollars to send a recipe and a photo, or something like that. I’m only asking for as much, to pay my bills and engage an editor. If potato salad can get $50k, what about St. Robert Bellarmine? Isn’t he at least worth $50k? 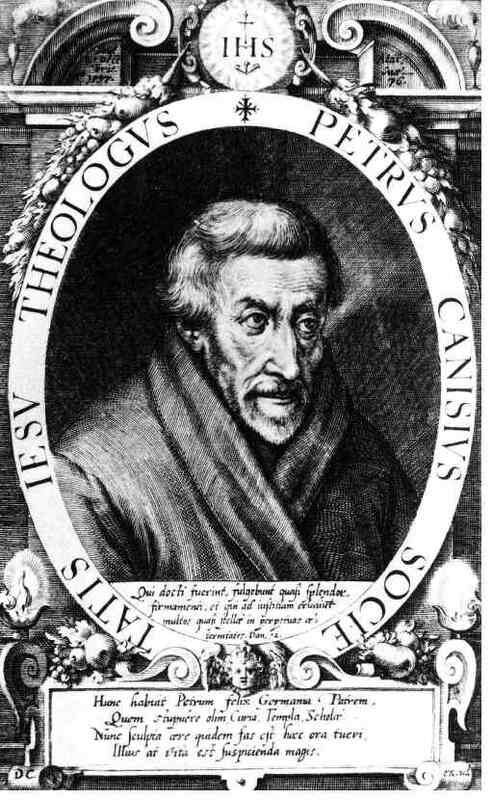 As an added bonus, I am going to work on translating St. Peter Canisius’ major works. As you may know, I translated his small Catechism into English, which is the first translation of its kind. He also had major works on the Scriptures, Our Blessed Lady, and a much larger catechism, all of which have never been translated in English. All of this can be done, and with small donations from enough people. We’ve already raised $350.00, I know we can raise more. For more information, including on what you’ll receive for your donation, you can see the fundraising site here. If you donate, you can remain anonymous to the public, yet at the same time be known to me so I can reward you when the time comes. I welcome large donations, but you don’t need to make a large donation. You can also make a small one. $20 is enough to get the entire series on e-book. Please consider in your charity supporting this project, not just for me, but for the good of the Church which will benefit from Bellarmine and Canisius in English, as truly as the scholarly world did from the former, and the German speaking world did from the latter. Lastly, if you can’t support this materially, support it by prayer. Novenas to the infant of Prague, St. Robert Bellarmine and St. Peter Canisius, or any particular devotion that works. This entry was posted in Support, Translations and tagged 17th century, Latin, Manuals, Scholastic Theology, St. Peter Canisius, St. Robert Bellarmine, Theology, Tradition, Translations on 4 November, 2014 by rubens7. Thank you very much for your support! I really appreciate it. I only wish I could do more.